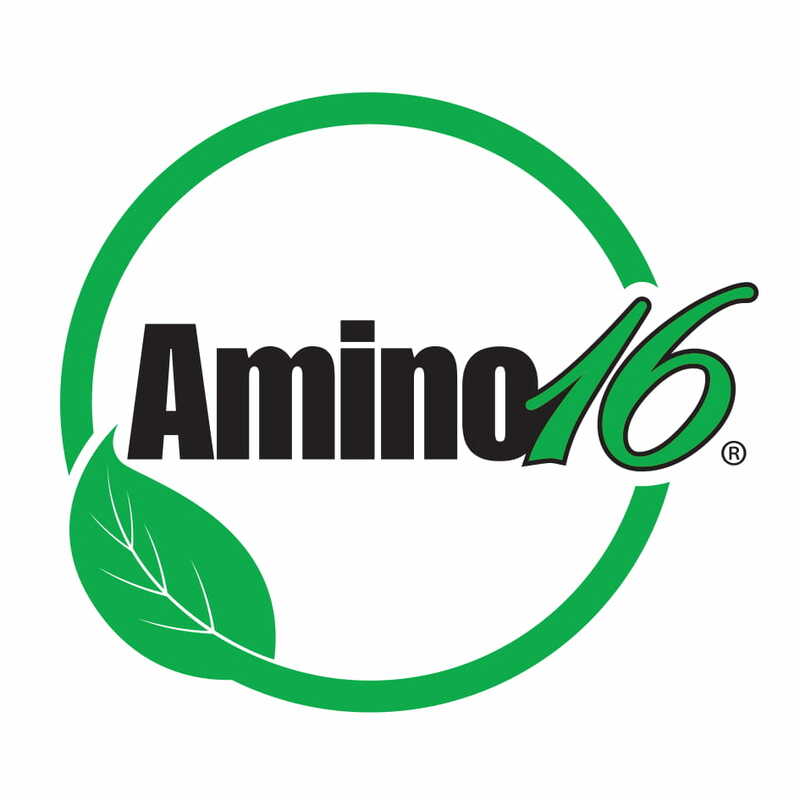 Amino 16 derives from the hydrolysis/extraction exclusively of protein non-genetically modified plant raw materials, which makes it suitable for use in both conventional and organic farming. The organic mixture produced contains a solution of 16 L-amino acids (basic structural components of proteins) and organic Nitrogen. Its plant origin is the reason for its high content in L-amino acids and the balanced ratio among them, which is identical to the physiology of all plants. Amino 16 is manufactured using state-of-the-art technology and was awarded a European Patent on 2/10/2013, EP 2537823. Researches carried out by the R&D department of EVYP, Scientific Associates and the Agricultural University of Aristotle University of Thessaloniki have proven that Amino 16 managed to improve many different crops. The results to the alternate bearing of olive trees are impressive. The Ministry of Rural Development and Food has approved its use in organic farming in accordance with article 16 of Reg. (EC) 834/2007 and since June 2012 its approval has been communicated to the European Commission to include it in the list of permitted nutritional preparations for organic farming as set out in Annex I, Reg. (EC) 889/2008. The approval of EGTOP was issued on 2/2/2016 and you can see the most important points here. 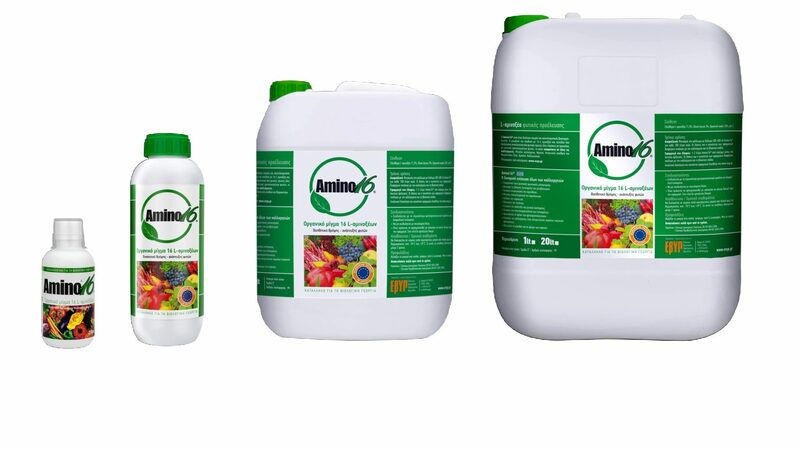 Amino 16 is a high concentration solution of plant L-amino acids that contributes to their faster and more efficient absorption by plant tissue. It can be combined with most plant protection products, foliar fertilizers, enhancing their activity, because it facilitates their absorption by the plant. It is applied at all stages of plant growth and positively affects the growth of plant production in fields, in greenhouses and orchards, being at the same time environmentally friendly and safe for both the producer and the consumer. EVYP LLP proposes innovative, efficient and cost-effective solutions that can relieve Greek farmers of high production costs, ensuring at the same time high quality in products and respect to the environment. Activates the natural defence mechanisms. Stimulates the basic functions of metabolism. Effectively reduces the premature dropping of fruit. Enhances the development of the root system by helping the plant to better utilise the nutrients coming from fertilization, since a major problem of dynamic intensive crops (e.g. greenhouses, flower beds, cotton, arboriculture etc.) is over-fertilisation of the soil resulting in failure to absorb. Enhances the effectiveness of fertilizers. Facilitates the action of plant protection products. Enhances crops against extreme weather stress (frost, drought, weed attack, high/low temperature). Improves the size and colour of fruit. It is particularly soluble in water, fully self-disintegrating. The only product with acid pH 3, offering a very high speed of action and effectiveness. It is applied at all stages of plant growth. Positively affects photosynthesis, increasing the chlorophyll produced, resulting in greener colour and faster growth of plant shoots. Improves shelf-life and the appearance of fruit and vegetables. To sum up, the plant consumes energy to synthesise and utilise the amino acids. Amino 16 is practically food (ready-made building materials for protein production) to this that it takes in and uses directly, increasing its growth. It also activates its natural defence mechanisms, acting as a biostimulator and strengthening it, so that it can cope with any other factors that may affect it negatively. The organic amino acid fertilizer, biostimulator and plant nutrition & growth enhancer Amino 16 is applied to all crops and can be properly combined with most plant protection products and foliar fertilizers. Amino 16® helps plants recover from difficult conditions – stress conditions (very low or very high temperatures, low soil moisture or flooded soil, frost, hail, excessive pesticide use). Spray on the foliage with a 300-600ml Amino 16 solution for every 100lt of water. The dosages and frequency of applications may vary according to the crop and vegetative stage. 1-2lt Amino 16 per 1,000 m2 through the irrigation network. The dosages and frequency of applications may vary according to the crop and vegetative stage.